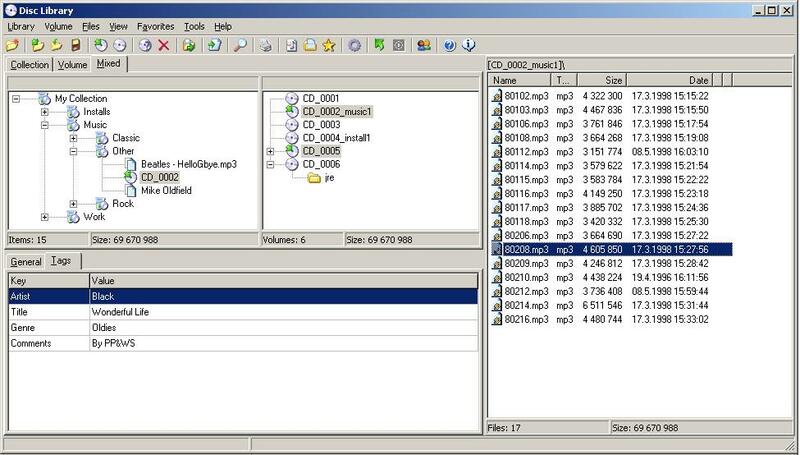 Disclib 2.0.50 Free Download - Disclib is a CD/DVD collection organizer cataloging program. Last Updated: 6/28/2009 | File Size: 1930 KB | License: Freeware | Downloads: 986 | Developer: Lyra Software Ltd.
Disclib is a CD collection organizer program. It may be used as a catalogue of CDs. After creating the catalogue, disclib stores file and folder names and tree, allows user to categorize folders and files, and allows searching all the files from the collection CDs without need to place them in CD reader. Disclib may place in the catalogue any windows folder not only folders on CDs. Disclib has a customizable Multilanguage functionality. Statement: First, please download the orginal installation package by clicking the download link. Of course you may also download it from the publisher's website. Using Disclib crack, key, patch, serial number, registration code, keygen is illegal. The download file hosted at publisher website. We do not provide any download link points to Rapidshare, Hotfile, Depositfiles, Mediafire, Filefactory, etc. or obtained from file sharing programs such as Limewire, Kazaa, Imesh, Ares, BearShare, BitTorrent, WinMX etc. Software piracy is theft. If you like Disclib please buy it.